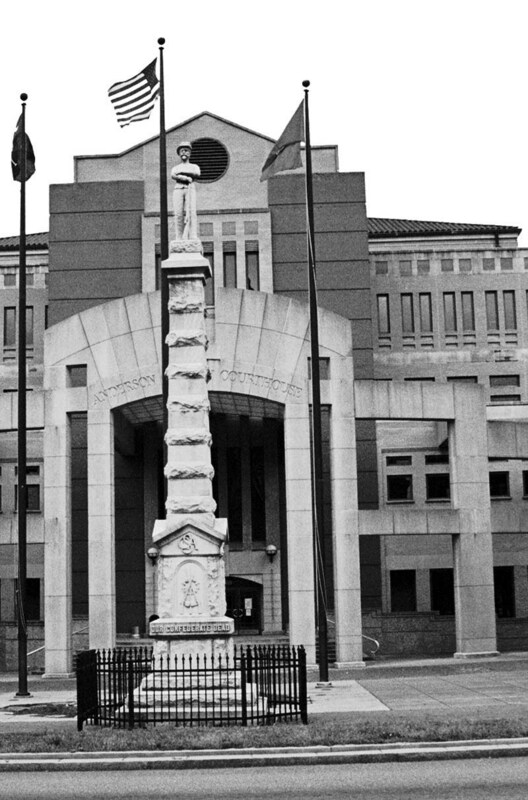 I took this photo of the Anderson County Courthouse Civil War memorial statue in 2005 while researching info about Manse Jolly in Anderson, SC. The statue has been reported to be a likeness of Manse Jolly. I have blown the image up and the statue face in no way resembles the one known photo of Manse! The likeness is probably of a 'generic' unknown soldier like so many others in the South.